Find hunting property for sale. 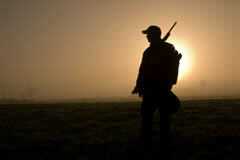 Specialized & professional hunting land listing service to search, advertise, sell and buy hunting property and land. Sell your hunting property and easily place your hunting land for sale or hunting property for sale. 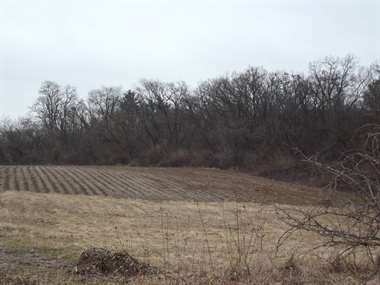 Find out what your hunting land or farm is worth or how you would compare to the land for sale currently on the market. If you have a hunting land, farms, ranches, ranch real estate, hunting real estate, recreational real estate, fishing real estate, horse property, cattle ranches, or mountain real estate that you'd like to have exposed to the hunting buyer industry this is the place to advertise hunting property real estate. 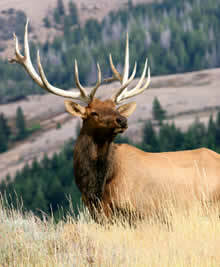 Reach a broad base of buyers looking for hunting properties, farms, undeveloped land or acreage. Hunting Property Search uses a professional and highly advanced hunting land database unmatched by other hunting property listing websites. This realty listing service is an online leader in rural properties and land for sale, including hunting land, timberland, development sites, and pristine acreage for vacation, recreation, or investment. This site understands the special needs of hunting acreage ownership and is specially designed for hunting properties for sale. Hunting Property Search is a professionally designed online platform to connect big and small game hunters looking hunting land for sale. List your hunting property real estate or hunting land realty to generate faster and more sales. Gain a competitive edge over other realtors, or hunting properties for sale in your area. Even if you have an existing web site, there is great potential to expand your client base or to advertise your horse property to a targeted audience. If you are looking to find investment or recreation property, land for sale, hunting land and leases, large acreages, farms and ranches for sale, waterfront properties and country homes for sale, HuntingPropertySearch.com is ideal to search hunting property for sale and is designed for all hunters searching for pristine hunting land. You can even create searches to be notified automatically of hunting properties for sale that meet your specifications and save land to your favorites. The site includes hunting land, secluded acreage, horse property, recreational land, hobby farms, farmettes, riverfront ranches, undeveloped land, development acreage, second homes, mountain property, lakefront homes, waterfront property, campgrounds, fishing property, fish farms and much more. Beaver, Elk Pronghorn, Bighorn Sheep, Grizzly Bear, Quail, Black Bear, Grouse, Rabbit, Boar, Mink, Racoon, Bobcat, Moose, Red Fox, Caribou, Mule Deer, Turkey, Cougar, Musk Rat, Waterfowl, Coyote, Pheasant, White-Tail Deer.